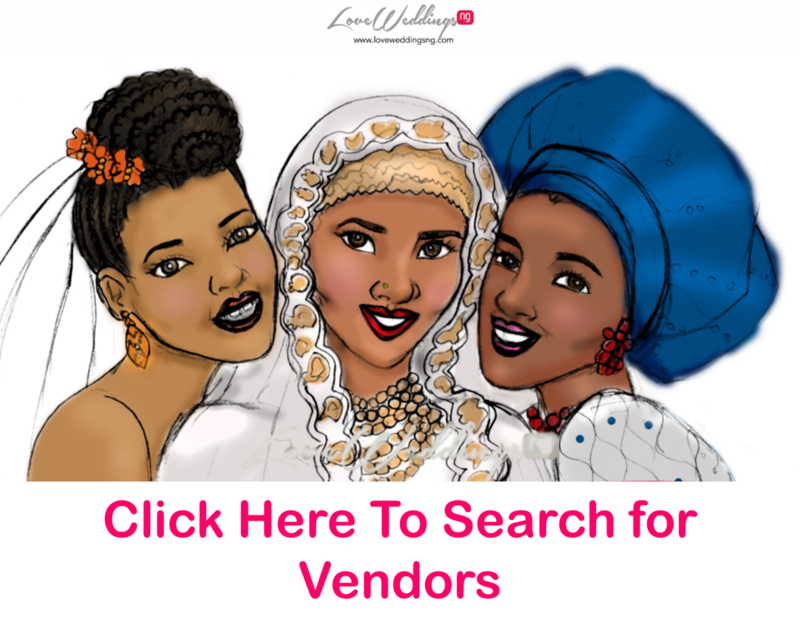 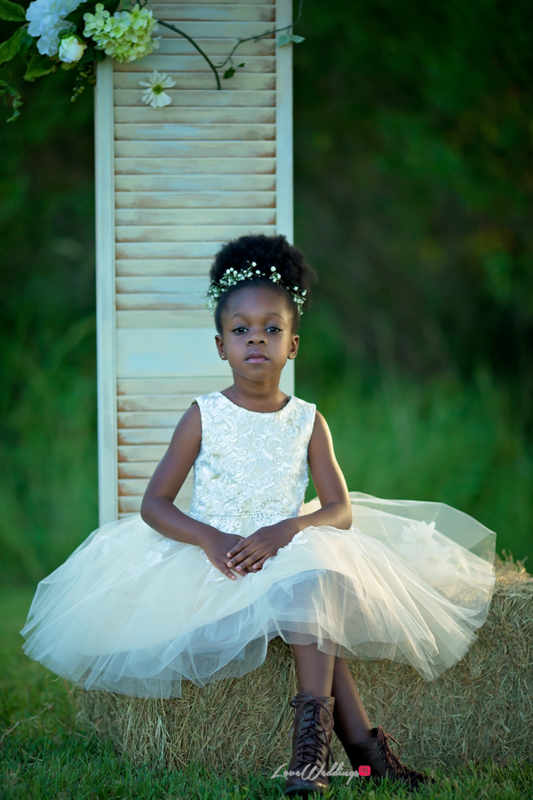 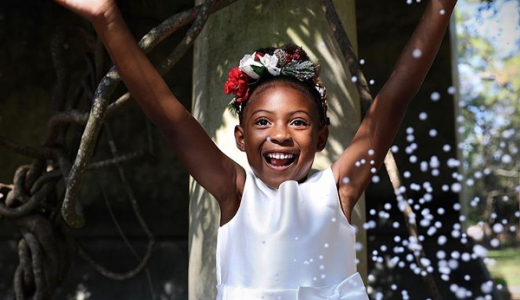 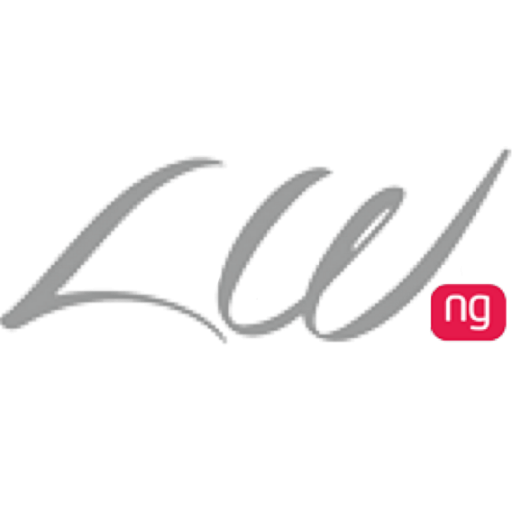 Luxury children’s wear brand – Mobebe Lagos shared pictures from a recent country wedding inspired shoot. 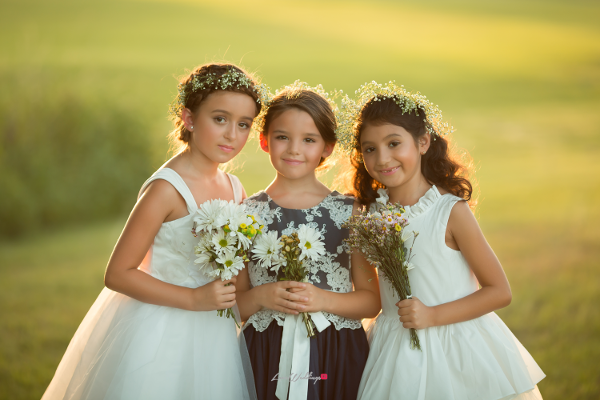 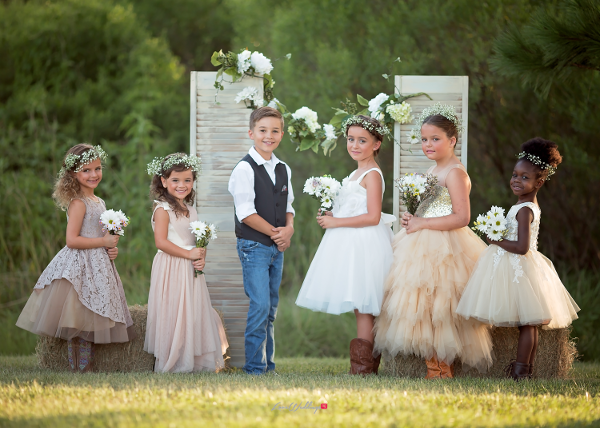 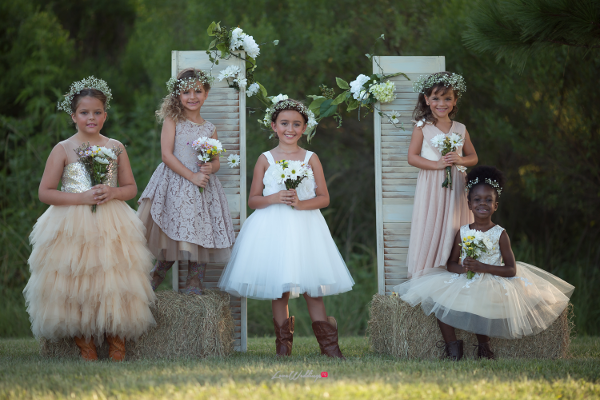 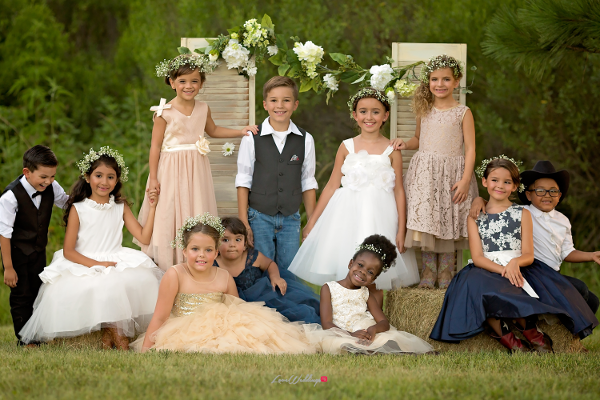 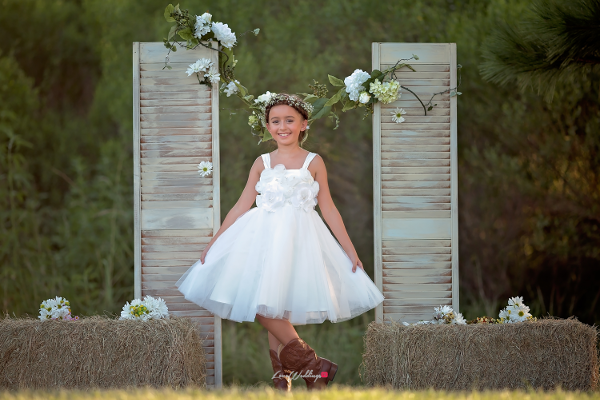 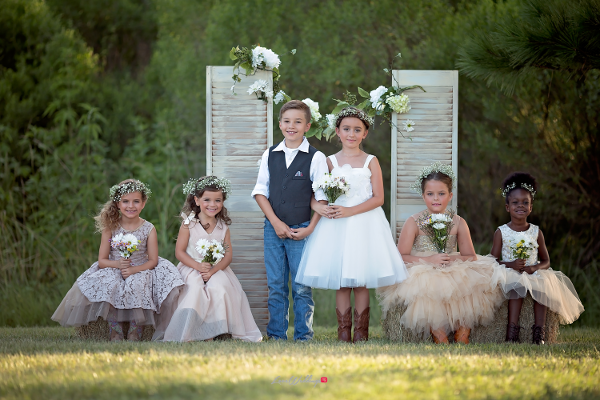 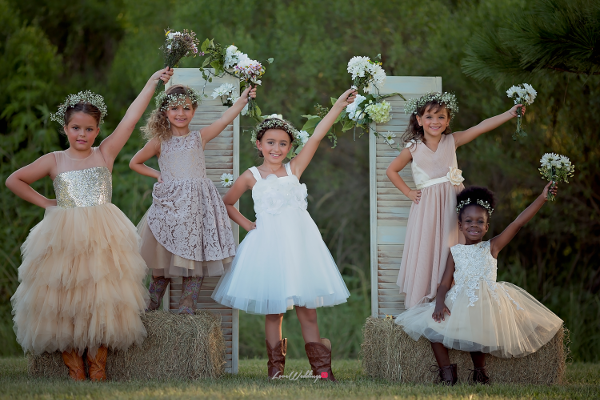 Never have we seen little ones from the bridal party look so adorable. 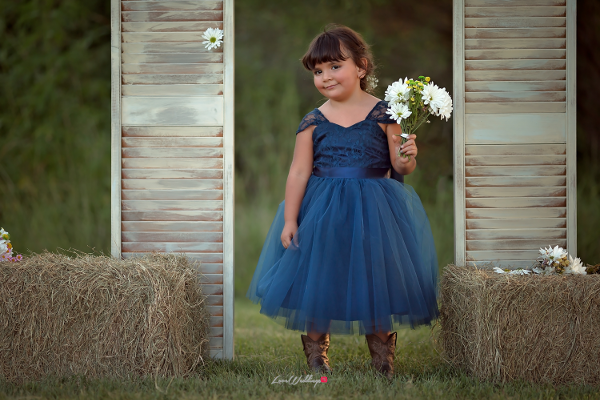 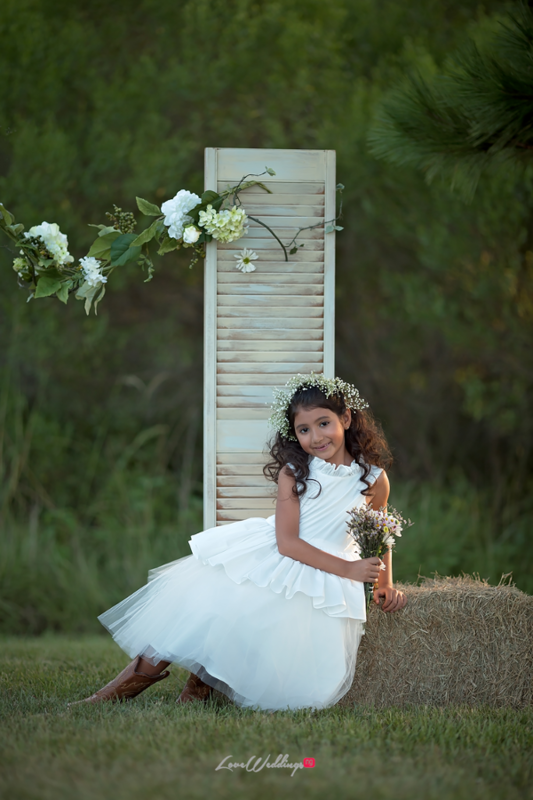 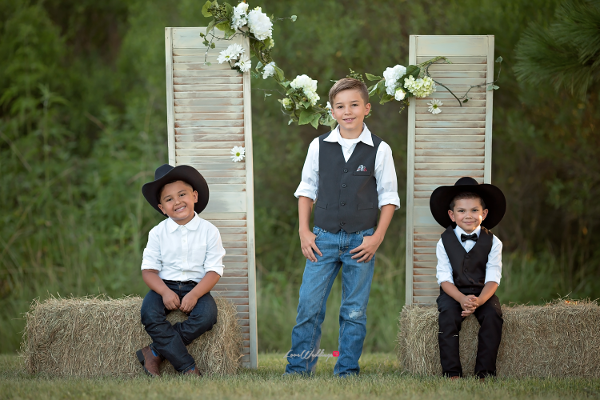 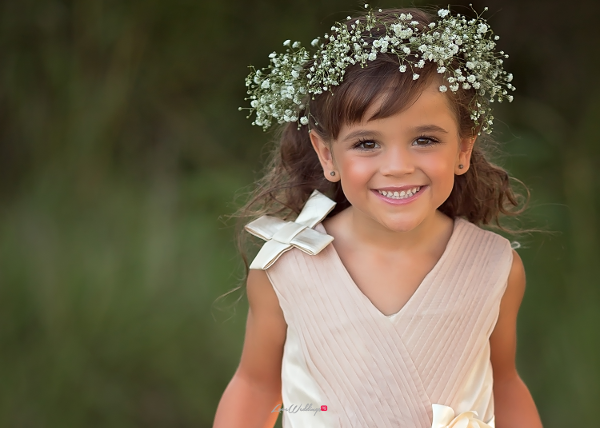 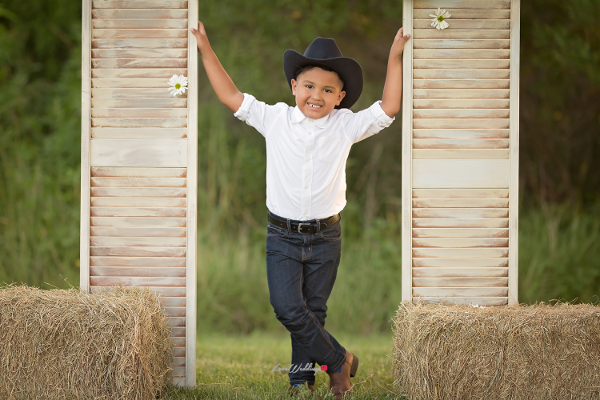 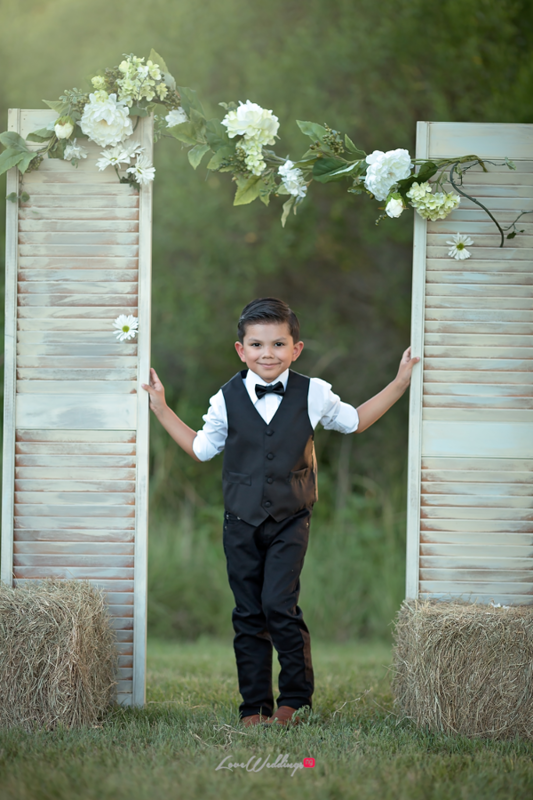 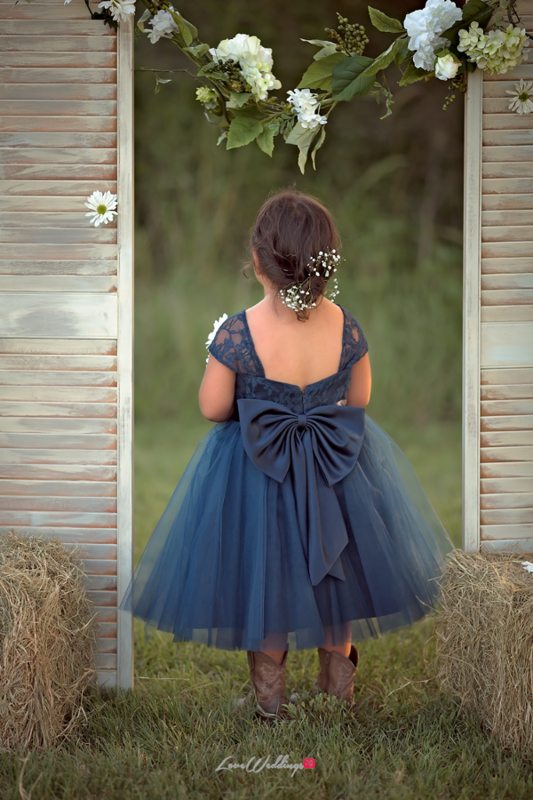 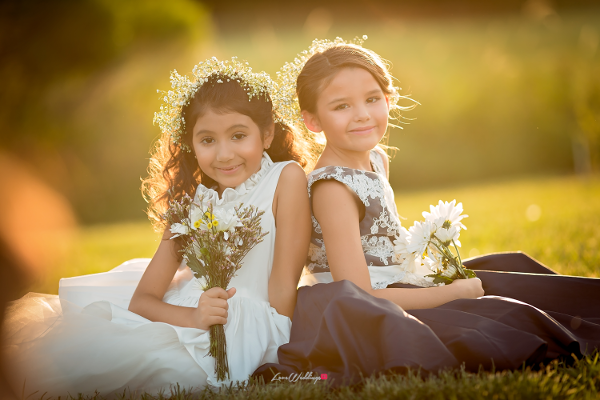 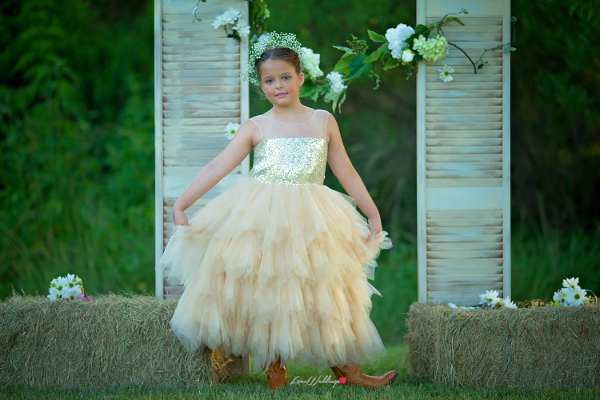 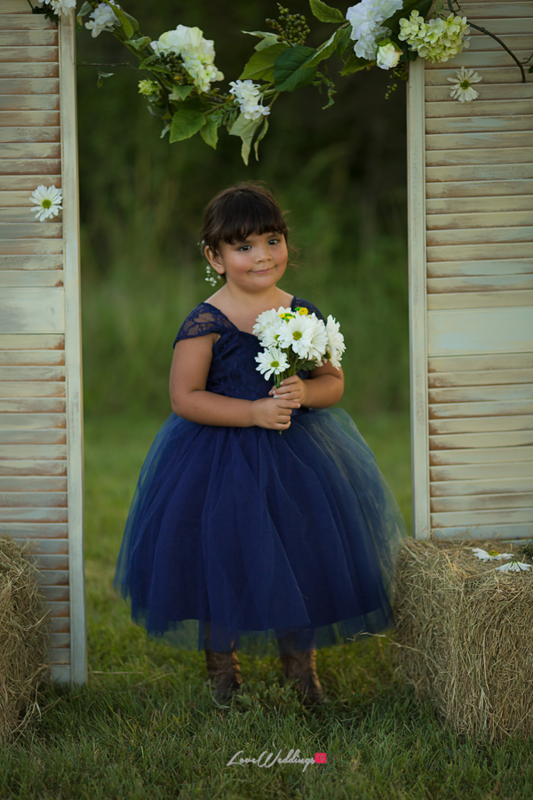 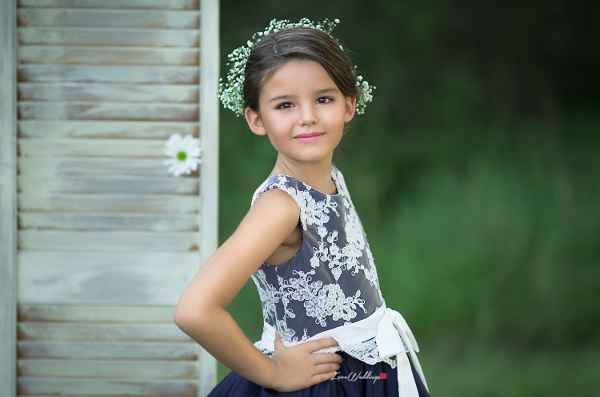 The gorgeous pictures were photographed by child photographer – Maribella Portraits. 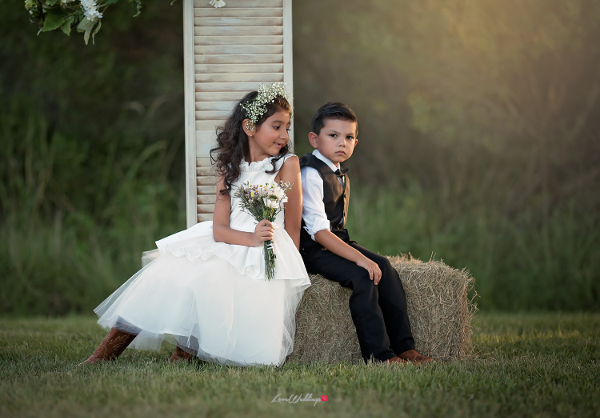 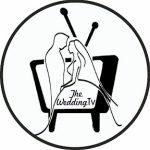  I was contacted by a local photographer and a local magazine with the idea of planning a country wedding photo shoot. 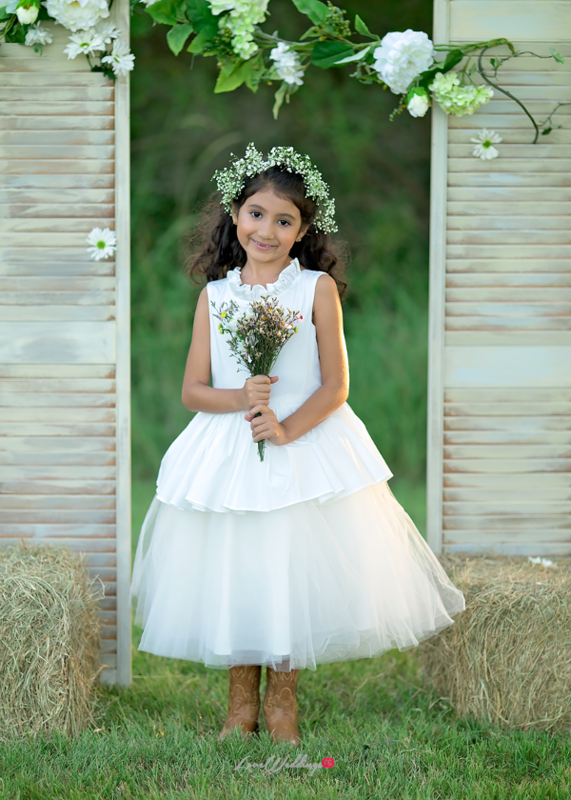 I designed a whole line dedicated solely to fit the country wedding theme of the shoot. 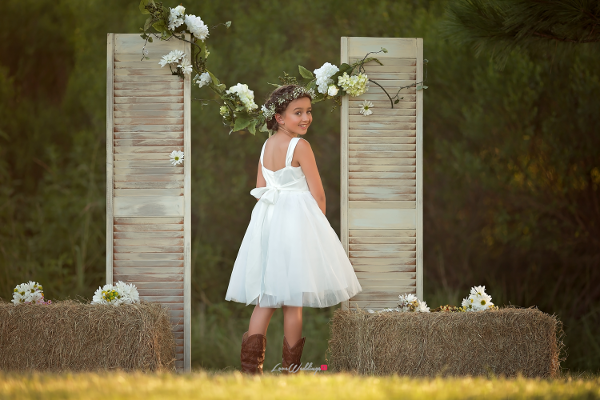 I decided that since it was a country wedding, we needed a country feel but more importantly we needed a country bride. 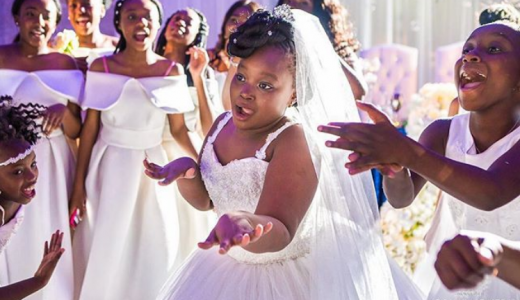 After all, what’s a wedding without a bride. 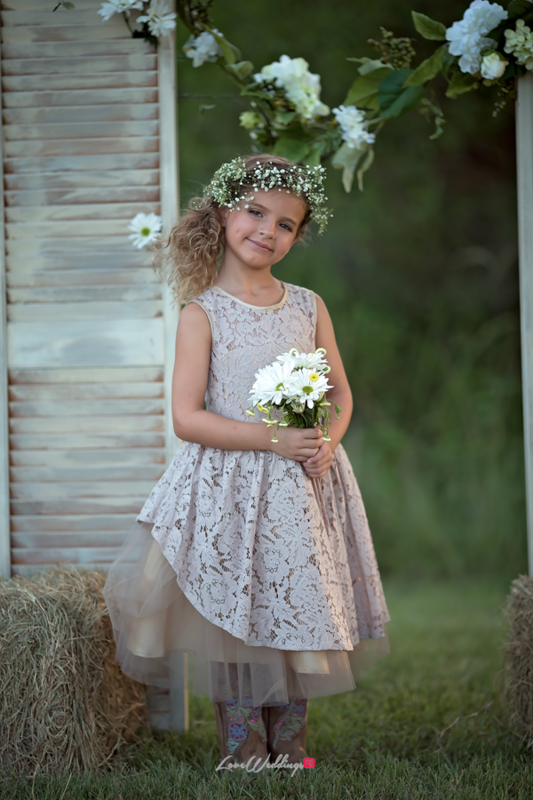 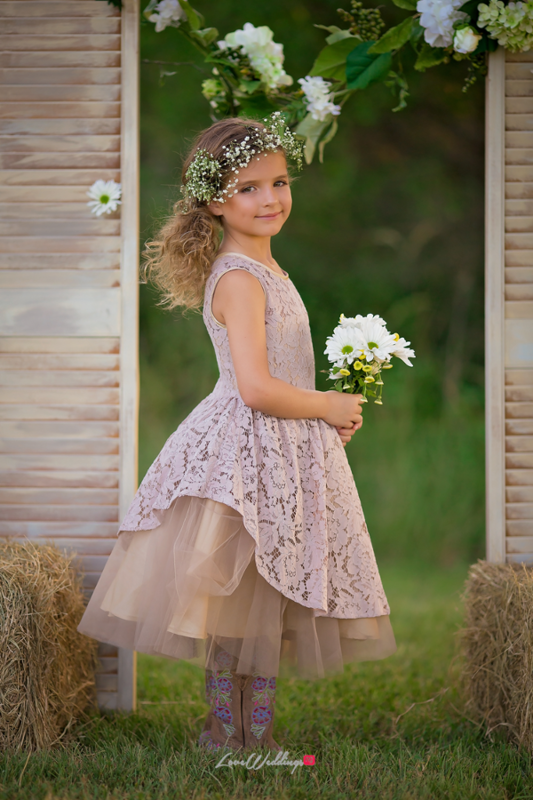 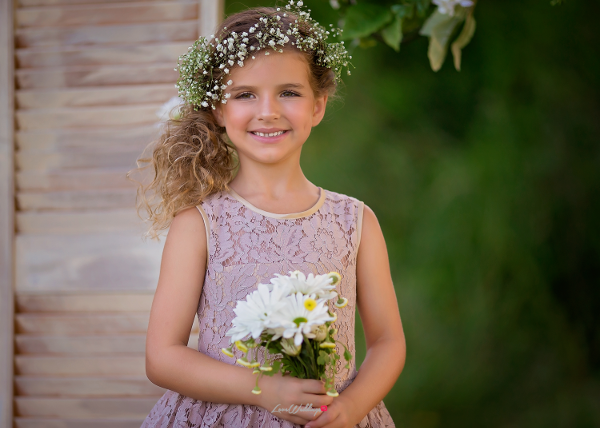 I went ahead and designed all the flower girl dresses in country style – champagne lace and satin; however, the bride’s dress was designed in classic white with floral decor. 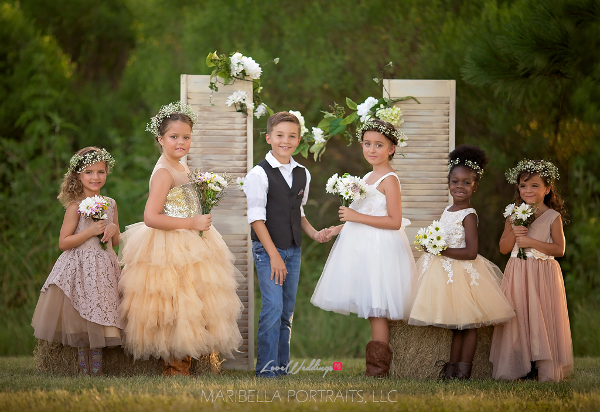 To give the shoot a more southern feel, I had all the models wear cowboy boots and also incorporated flower crowns because they are a southern ‘must have’. 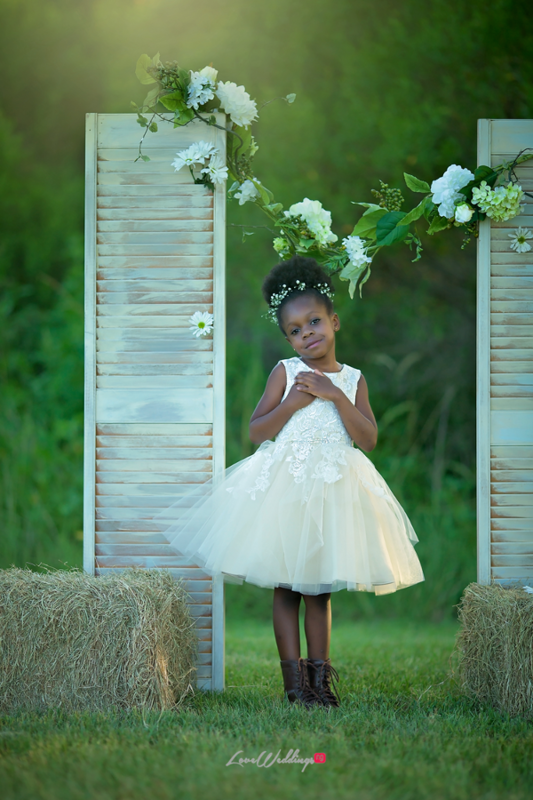 We organized the scene of the shoot to mirror a gorgeous outdoor southern wedding that showed the beauty of nature. 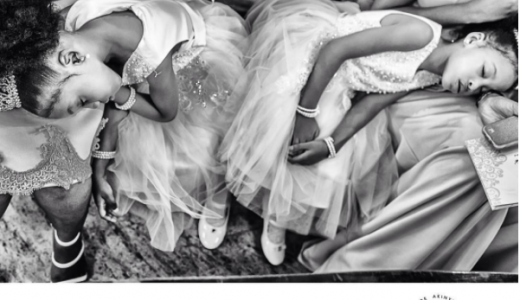 All in all, It was an amazing experience. 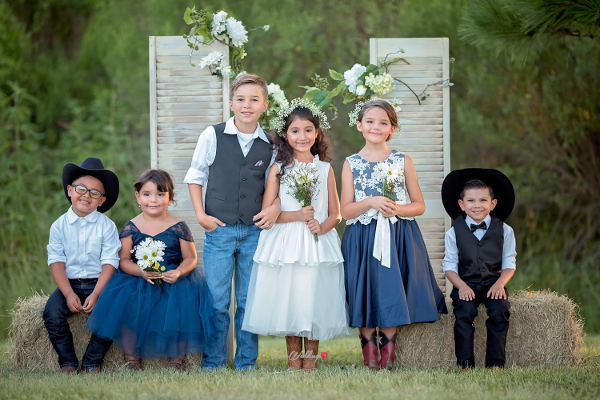 From flower girls, little brides, to page boys and ring bearers, Monbebe Lagos showed us how to pick the right outfit for your country themed wedding .